Houston firefighters stand in front of the smoke-filled warehouse early Thursday morning. A pallet caught fire inside a warehouse near Bush Airport and thanks to it's sprinkler system, it was an easy fire to fight. 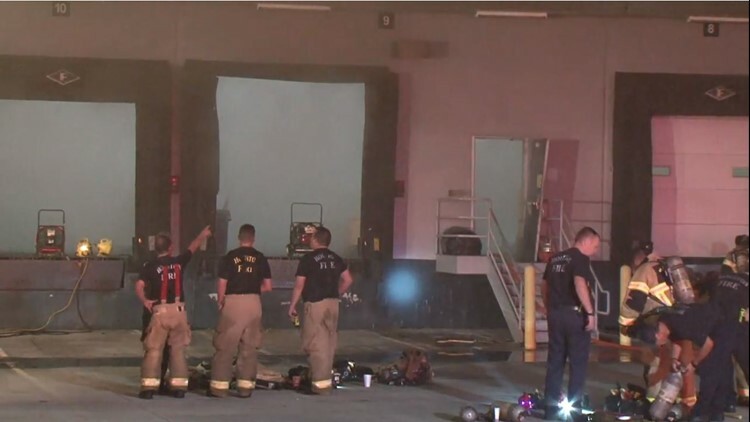 HOUSTON - Firefighters with the Houston Fire Department put out a warehouse fire near Bush Intercontinental Airport early Thursday morning. 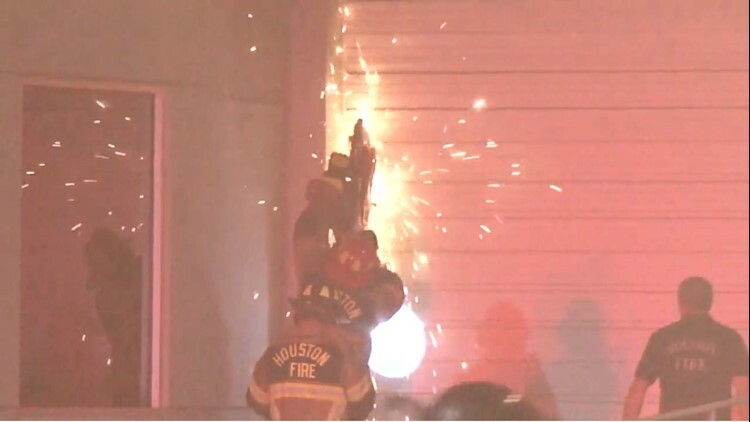 Houston firefighters work to open one of the garage-style doors at the warehouse. If the sprinkler system hadn't been in place, Chief Medina said, the fire could have become a 2-alarm or 3-alarm fire. "That sprinkler really did helped out a lot. It kept (the fire) in check. And that's what a sprinkler system does, it doesn't completely extinguish it, but it does keep it in check." he said.